One of my favorite things about the beginning of the year is how full of hope the new year is. It’s a great time to think about the upcoming year, to set goals, and to start fresh with things. One of my goals for the last couple of years has been to increase my family’s fruit and veggie intake. There have been two things that I’ve done that have worked well for us. First, we snack on fruit and veggies more often now. So many items in the produce department make perfect snacks – baby carrots, apples, bananas, oranges, etc. Second, I add extra fruits and vegetables to our meals when I can. 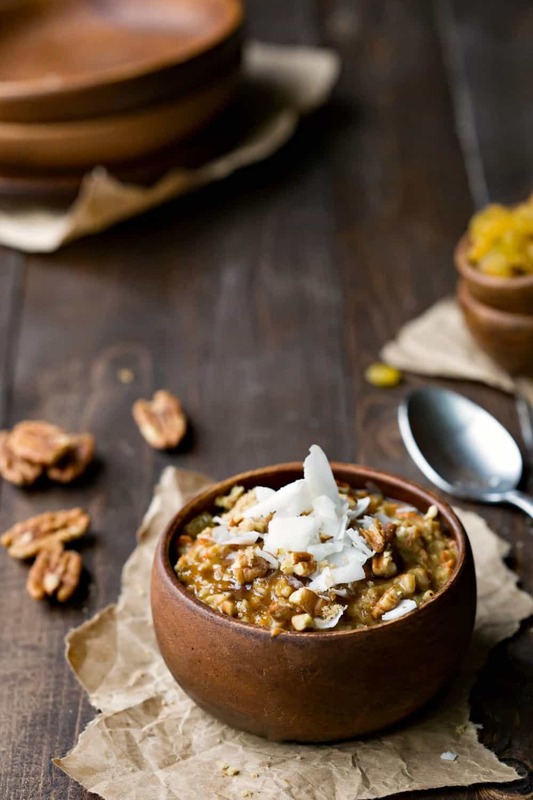 Meals like this Overnight Crock Pot Carrot Cake Oatmeal are the perfect place to add a little extra produce to the meal. This slow cooker oatmeal is rich and creamy thanks to the combination of the almond milk and the coconut milk. It’s also full of good-for-you ingredients like oats, carrots, and raisins. Best of all, it tastes delicious! 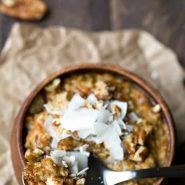 The crock pot oatmeal has the spices and flavors of a slice of carrot cake, but it comes in a much healthier form. So, this oatmeal is a perfect way to keep those new year goals. More crock pot oatmeal recipes! If you’ve tried this overnight crock pot carrot cake oatmeal recipe, don’t forget to rate the recipe and leave me a comment below. I love to hear from people who’ve made my recipes! You can SUBSCRIBE to receive my latest recipe newsletters or FOLLOW ME on FACEBOOK, INSTAGRAM and PINTEREST for even more delicious food. Overnight Crock Pot Carrot Cake Oatmeal is an easy, healthy slow cooker breakfast recipe that cooks while you sleep! Lightly grease the inside of 2 quart slow cooker. 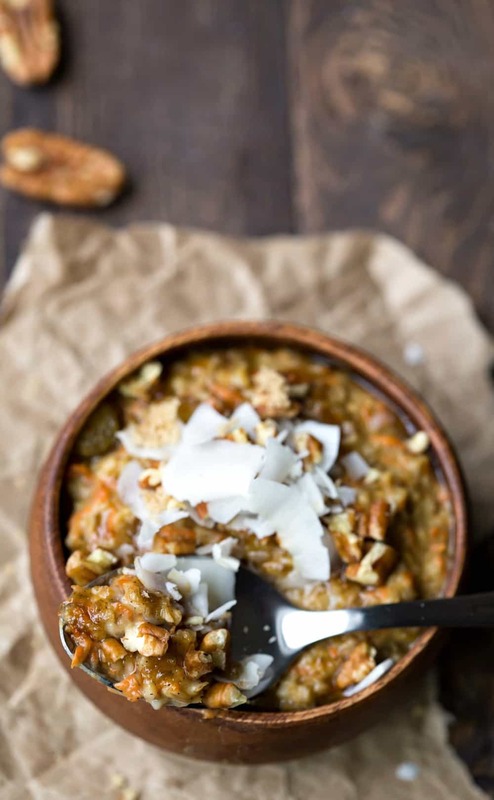 Add steel cut oats to the slow cooker. Stir almond milk, coconut milk, raisins, carrot, and spices together. Serve topped with brown sugar, coconut flakes, and chopped pecans. I use the type of coconut milk that comes in a carton in the refrigerated section. 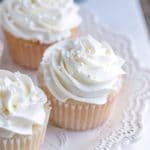 Do you think you could double or triple this recipe for a large group and have it still come out fine? I think so. I think that it may work, but I’m just not sure if you would need to increase the cook time or not. Good luck! 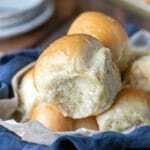 Are there substitutes to lower the carb content? We are trying to follow a more keto friendly diet, but 32 grams of card is my max for the day and that is 1 serving. That’s a hard one because most of the carbs come from the oats. I’m not sure how it would work to sub a lower carb grain like quinoa, but maybe that would work. Warm, filling, and healthy! Can’t beat that! 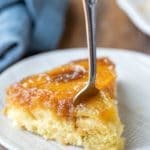 Can maple syrup be used in place of the brown sugar? Absolutely! The brown sugar just adds sweetness, so you could use maple syrup, coconut sugar, honey, or any other sweetener. How many servings does this make with only one cup of oatmeal added? Thinking one or two? Can’t wait to try it but have a family of four. Actually, you should get more like 6-8 servings. =) The steel cut oats absorb the liquid and really expand while they’re cooking. I have a family of 5, and this easily feeds us. Hope that helps! You should get about 6-8 servings. Do you add the raisins to the crockpot or are they a topping? I added them in (and updated the recipe to reflect that). I like that they soften while they’re in the crock pot. If you wanted to, you could certainly just add them at the end as a topping instead. I love everything about it: the cleverness, the deliciousness, and the easy-to-make aspect! OMG!!! This is just mouth-watering!! !